Every business and organization needs professional envelopes and letterhead. New Life Press has a large selection of envelope sizes for your needs which can be printed with your logo and return address. Matching business cards and letterhead create a unified look for your business or organization. From basic to complex, New Life Press has the knowledge and experience to create beautiful, high quality brochures, newsletters and multi-paged booklets. NLP can handle each step from design, print and bindery. After your project is printed it can be folded in any number of ways. and special folds for more complicated projects. This is great for booklets, manuals or product brochures. They can be folded in half then stitched (stapled) for a professional appearance. We can do comb binding which allows the booklet to lay flat when open. Great for manuals or cookbooks. We can have your book perfect bound as well. Postcards and oversized mail pieces are a great, economic way to get the word out. 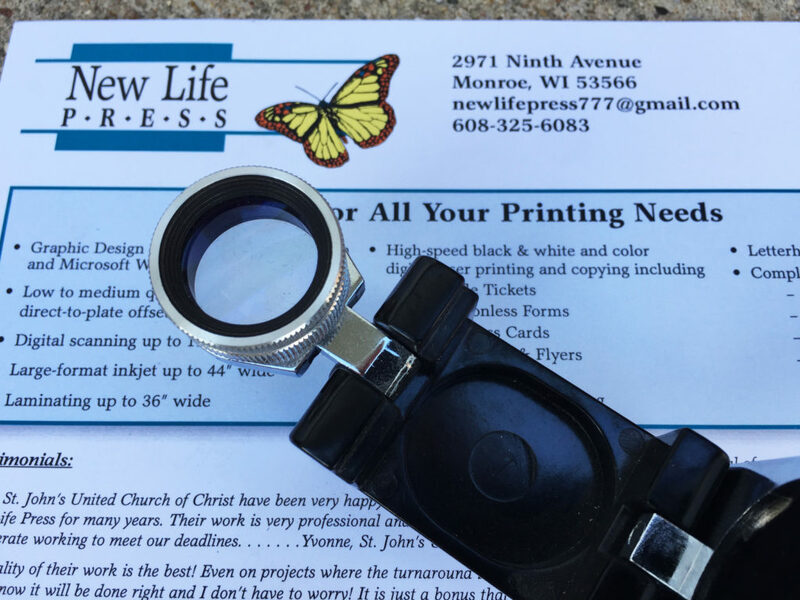 New Life Press can help create and print postcards or mailers for you, your business or organization. We offer a large variety of standard and custom sizes. Postcards are available in full color on both sides. Posters, courtroom graphics, presentation graphics, fine art prints or even SWOP certified digital proofs are all possible up to 44 inches wide on a wide variety of papers. These prints resist fading and, if cared for properly, will last for years. Your project can be created using most any page layout or graphic editing application. Create your project the same size as your finished size. This reduces complications because the file does not have to be enlarged when it is printed. We have two standard papers we use for posters: Premium PhotoLuster and Double-Weight Matte. Others can be special ordered including paper for fine-art prints. PhotoLuster has a smooth, semi-gloss surface suitable for photos and high-quality prints. The Double-Weight Matte is durable and as the name suggests, has a matte finish. Both can be laminated or mounted to Foam-core. New Life Press can help you with creating custom raffle tickets for your event or prize drawing. We can number all your tickets using the number system you select. NLP can also pre-number forms and documents such invoices. 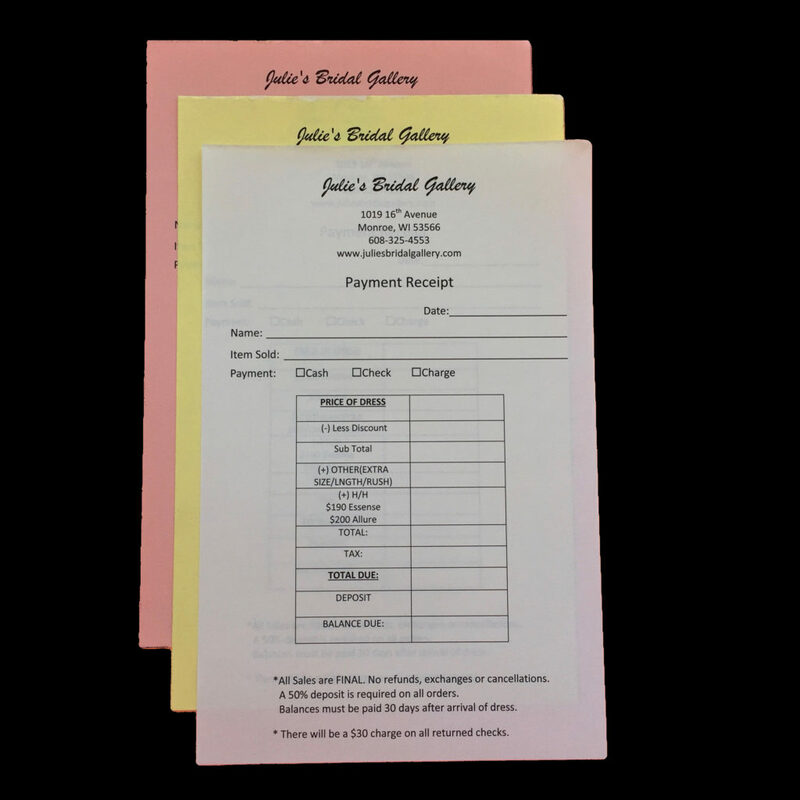 Businesses often need 2 or 3 part forms which copies the information from the top copy to the yellow and or pink copies below. 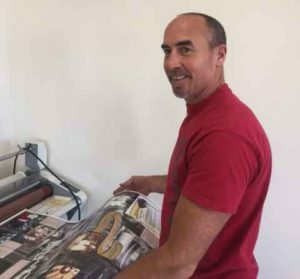 New Life Press can help you create the custom form you need at 8.5″ x 11″ or half sheets 5.5″ x 8.5″. In need of an invitation, flyer or announcement? 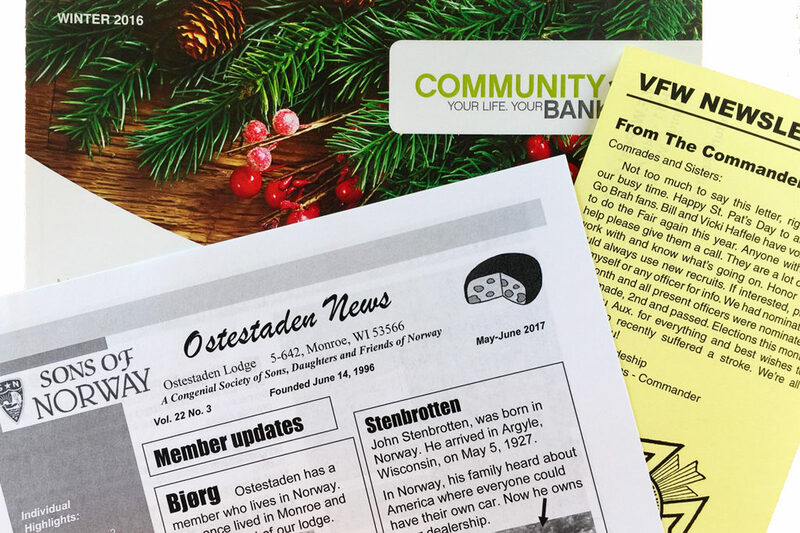 New Life Press can help you from start to finish with all your announcement needs. Full color invitations to custom paper selection, we have the experience and the selection to fill your personal needs. New Life Press offers rubber stamp and adhesive labels. 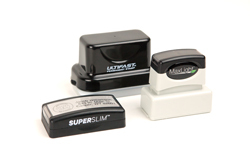 Rubber stamps are available in a variety of sizes for different uses such as signatures and return address. Pre-Inked Stamps are easy because the ink is built into the stamp die. There is a size to fit almost any application. 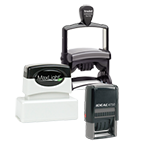 Self-Inking Stamps have internal ink pads and never need to be replaced. Just press and print.